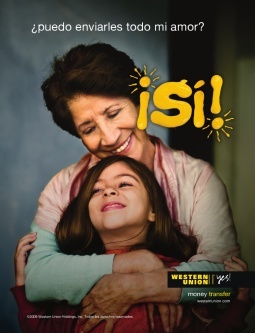 Western Union, an international company known for global monetary transfer services, has launched its first global brand initiative in the company’s 150-year history. Can One Word Answer a Million Different Needs? 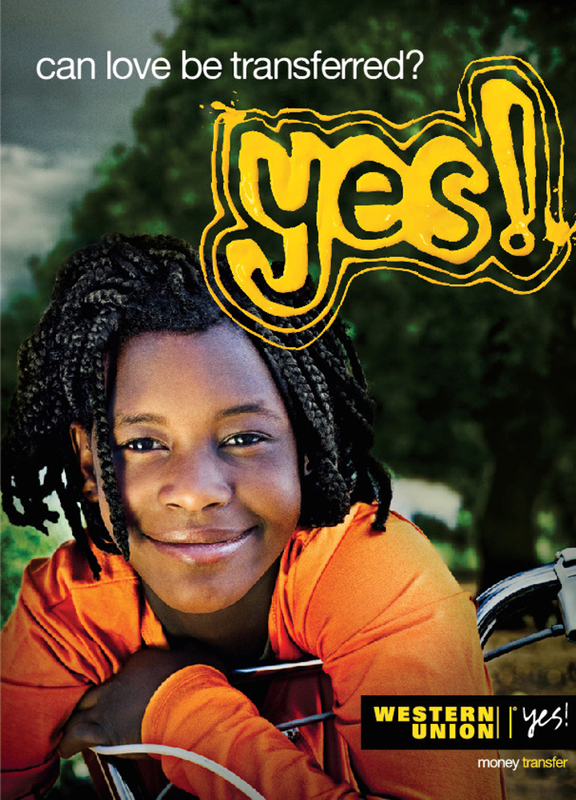 Global Money-Transfer Company Says yes! Western Union’s global yes! campaign – the result of extensive consumer research from around the world – is a burst of positive. The campaign targets the 200 million people who live outside their country of origin and embraces their hopes and dreams. It is estimated that these consumers sent nearly $400 billion in remittances to their loved ones in 2008. The yes! brand campaign elements, translated into 40 languages, include print, broadcast and online advertising, street art, billboards and other out-of-home creative, point-of sale materials for more than 320,000 Western Union agents in more than 200 countries and territories. Western Union’s agency of record is Publicis Hong Kong. Filming was shot in Morocco, Singapore, Los Angeles and Cape Town, by Partizan director Antoine Bardou-Jacquet, photojournalist Steve McCurry and Typographer David Carson. Music in the TV commercial is “Stand Up” by Paris based Hindi Zahra. Graffiti/street art is by Belgian artist Chase.